Remember the miniature killer from Season 8 of CSI? Remember those crazy amazing miniature models? Remember the way-cool shots of the Las Vegas skyline in miniature? So apparently you can make your own photo look like that too - miniature. 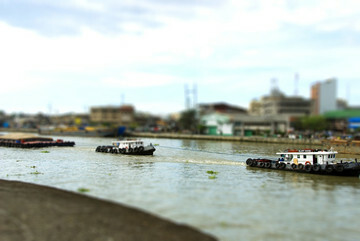 Check out the photo gallery at TiltShiftMaker - so cool.